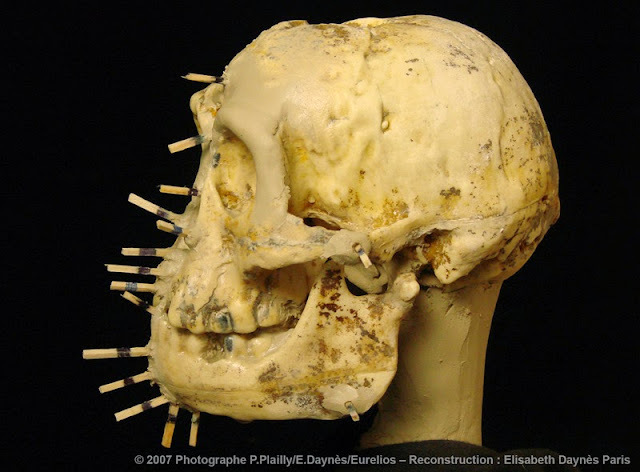 Markers are placed at specific locations on the cast of the skull to indicate estimated tissue depths. 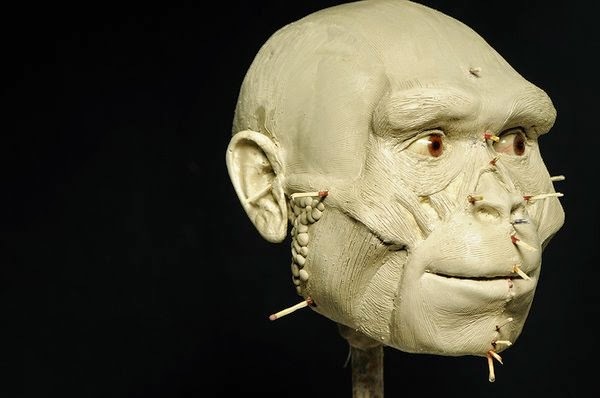 Markers are placed at specific locations on the cast of the skull to indicate estimated tissue depths.These are then used to build up the muscles and other tissues of the face. 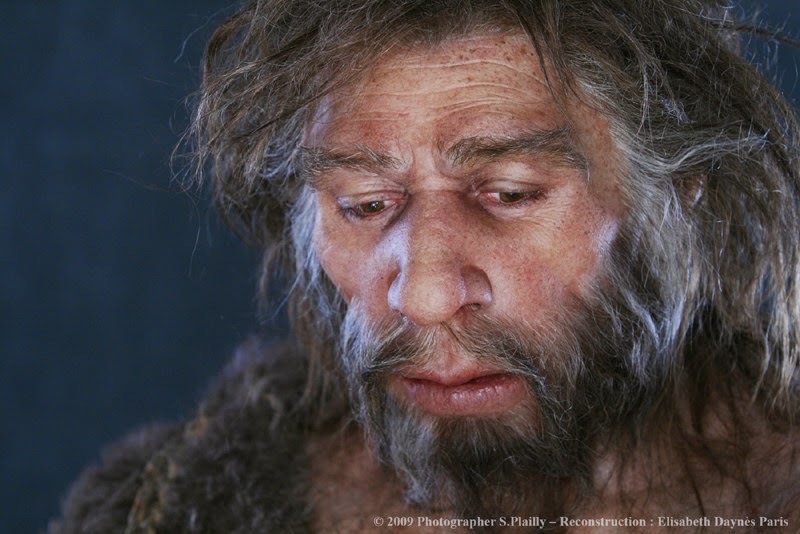 Daynès' reconstruction of the Sangiran 17 Homo erectus skull at an earlier stage of the artistic process. 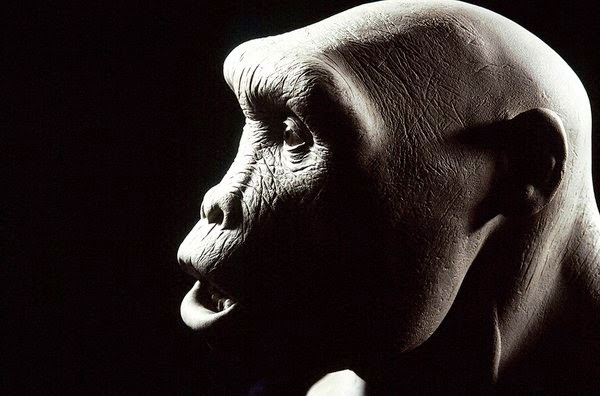 The clay model of Daynès' reconstruction of "Toumai", a Sahelanthropus tchadensis skull found in Chad in 2005. 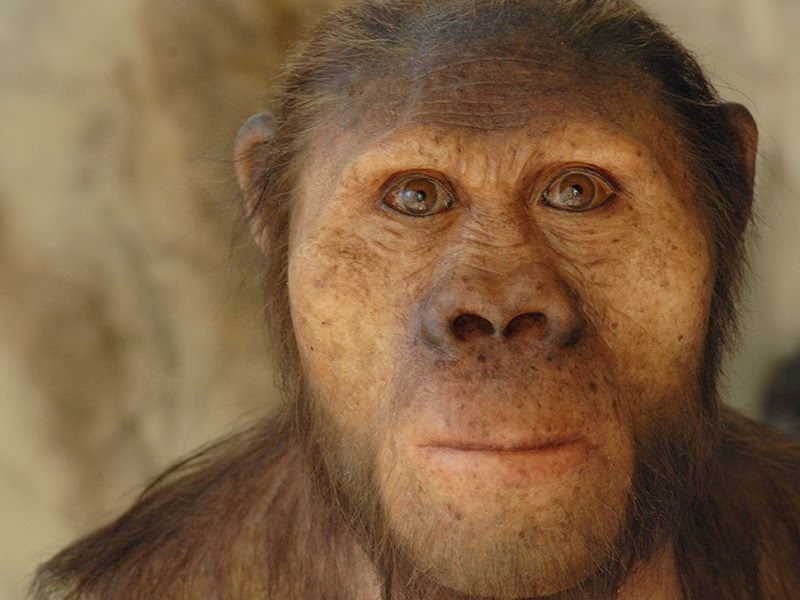 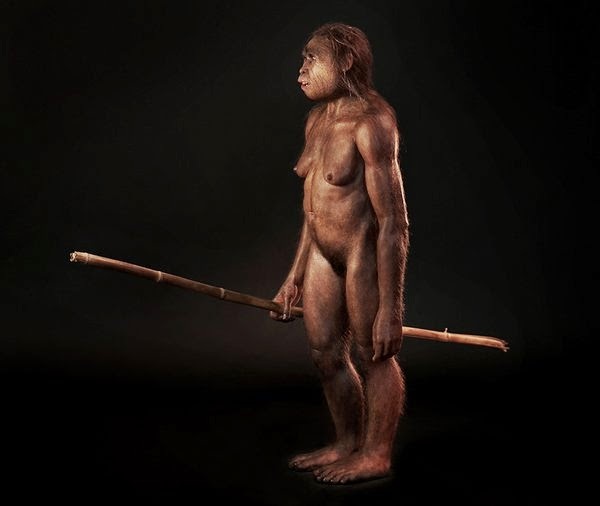 One of the earliest known human ancestors, "Toumai" lived 6 to 7 million years ago. 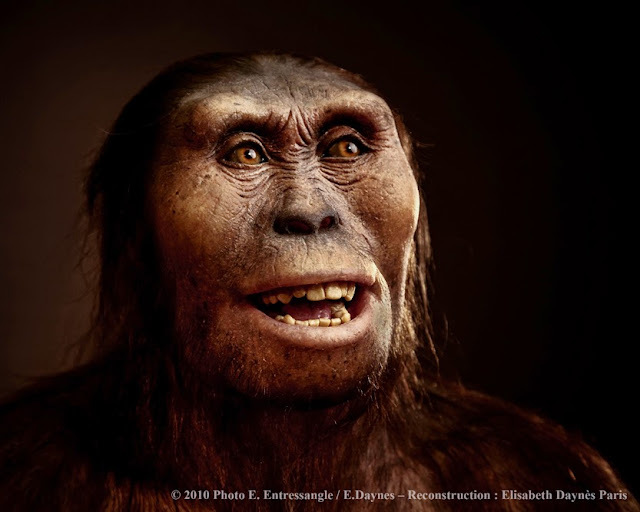 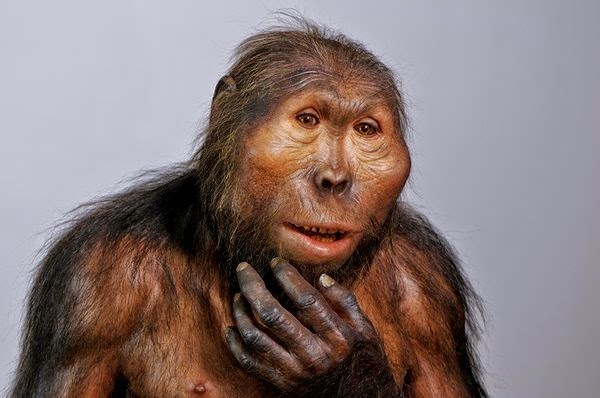 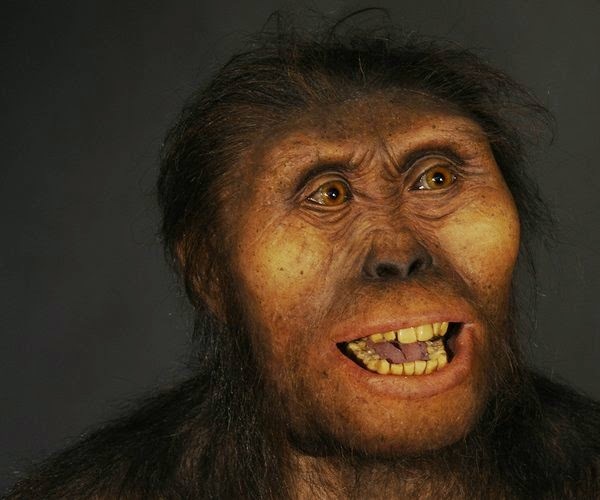 A reconstruction of an Australopithecus africanus based on cast of the skull STS5 (nicknamed "Mrs Ples") discovered in 1947 in Sterkfontein, South Africa. 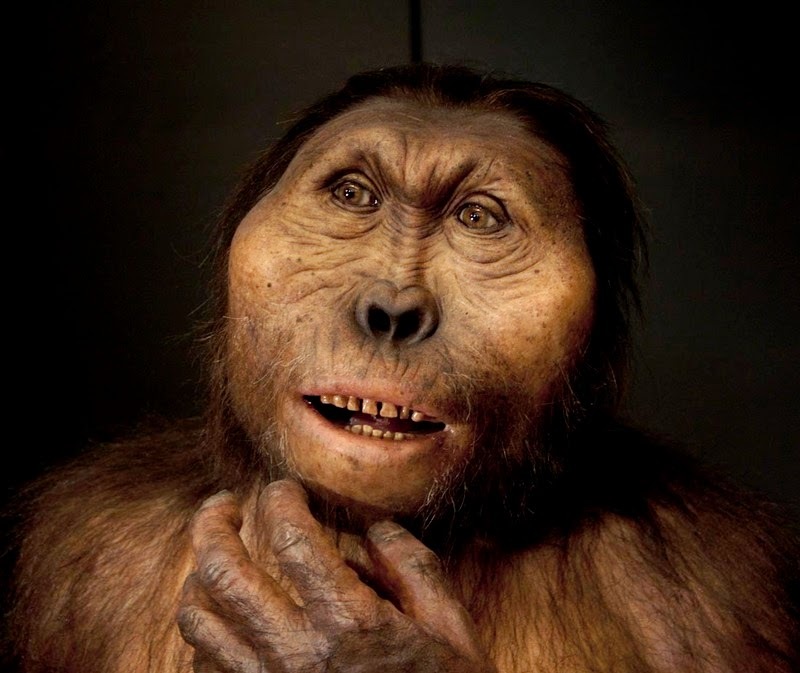 The fossil STS5 is between 2.1 and 2.7 million years old. 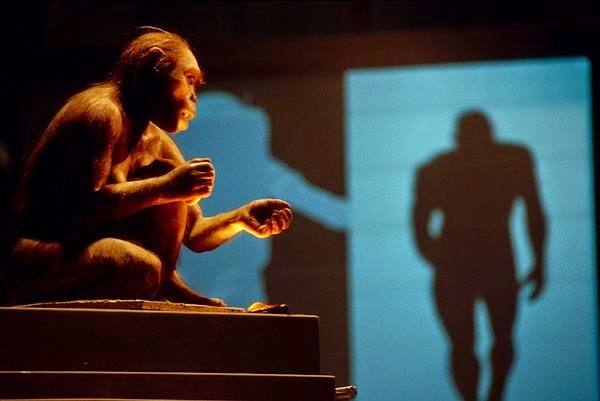 A Homo habilis reconstruction by Daynès at the CosmoCaixa museum in Barcelona. 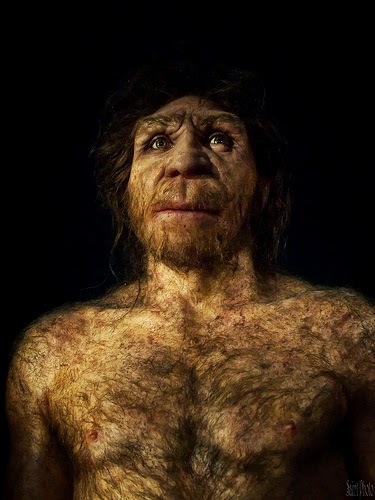 A reconstruction of a male Homo erectus based on the skull Sangiran 17, the most complete Homo erectus skull found in East Asia. 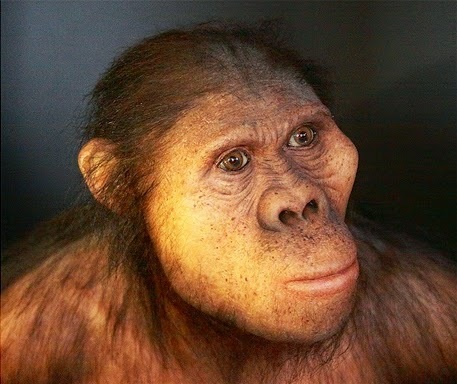 This hominid lived in Indonesia 1.3 to 1.0 million years ago. 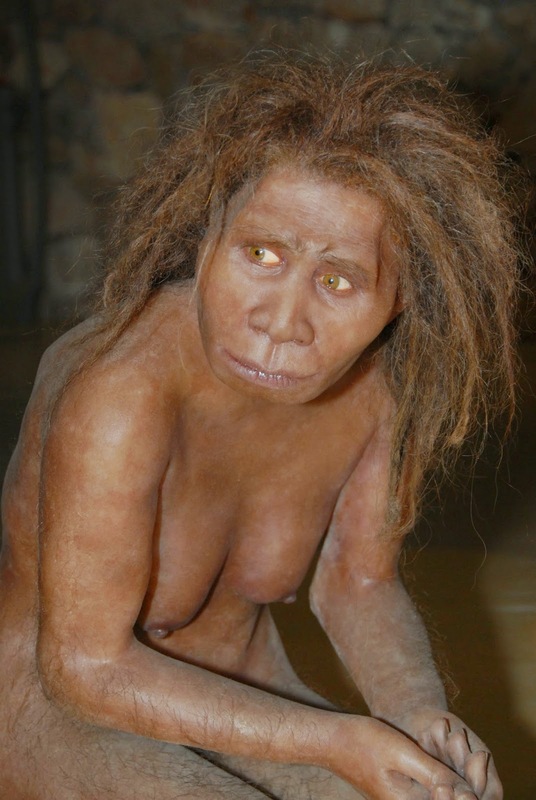 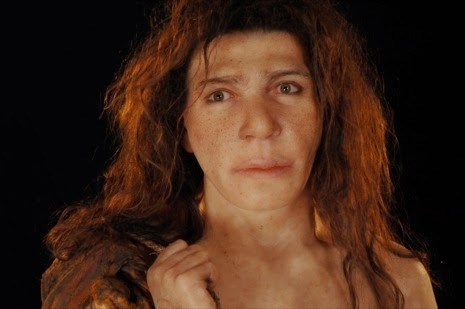 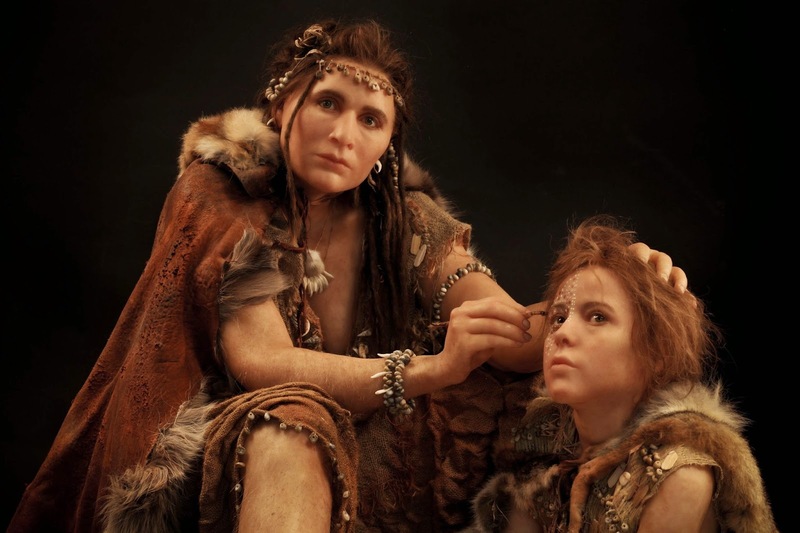 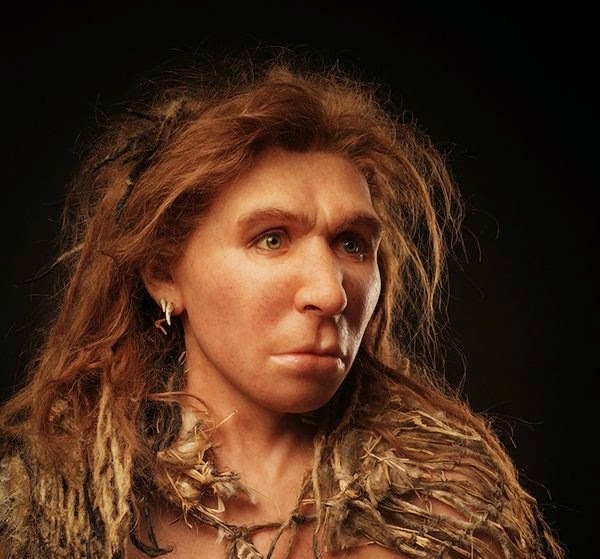 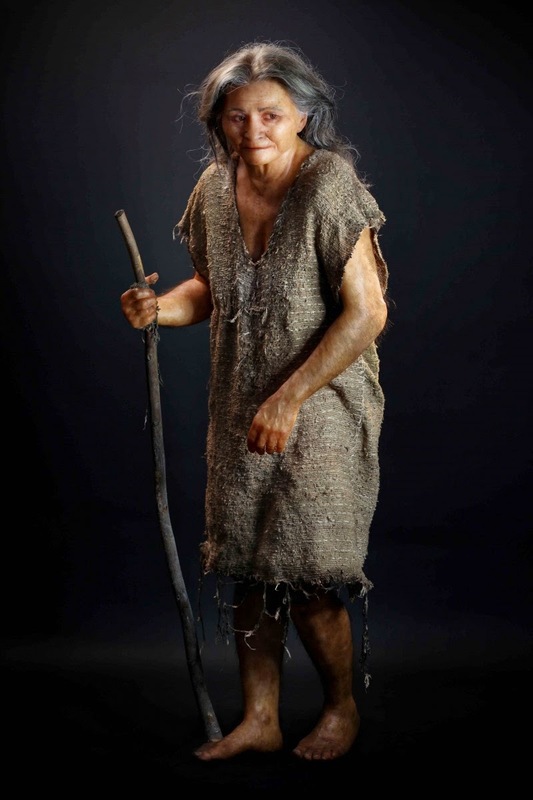 A reconstruction of a Neanderthal woman from the Saint Césaire site in France. 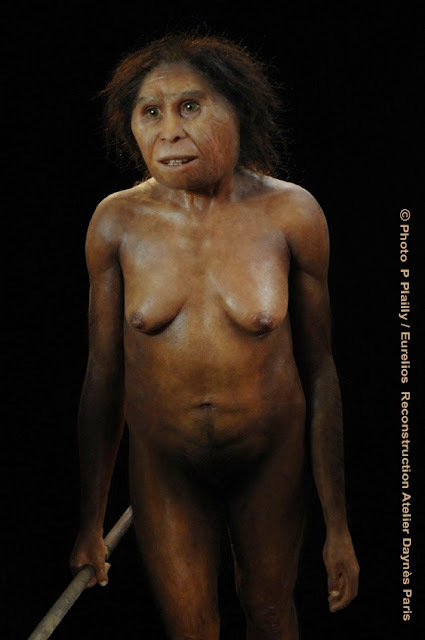 Reconstruction of a Homo floresiensis female based on the cast of the skull LB1, discovered in 2003 in the Liang Bua cave on the Indonesian island of Flores. This female stood about 1.06 meters high and lived around 18,000 years ago. 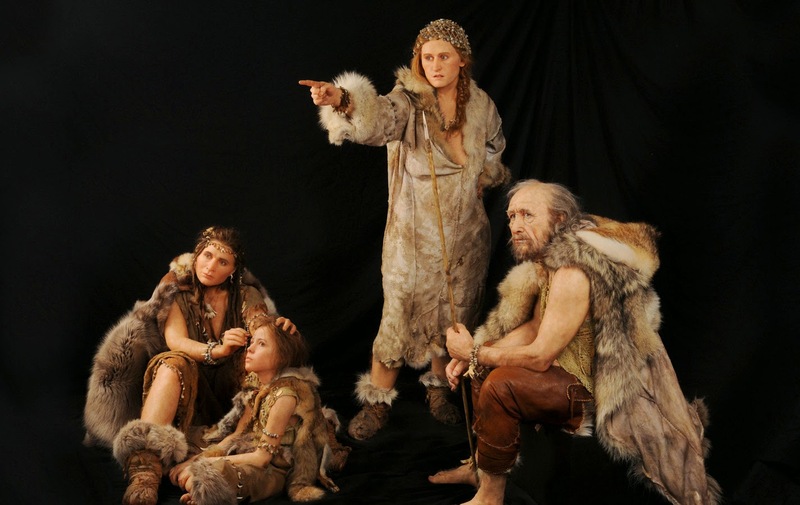 Modern humans of the the culture behind the Lascaux cave paintings, which date to 17,300 years ago. 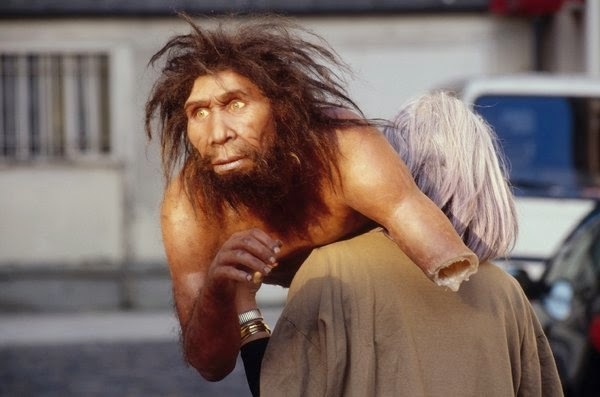 Setting up a museum exhibit, Daynès carries a hyper realistic reconstruction of Homo georgicus. 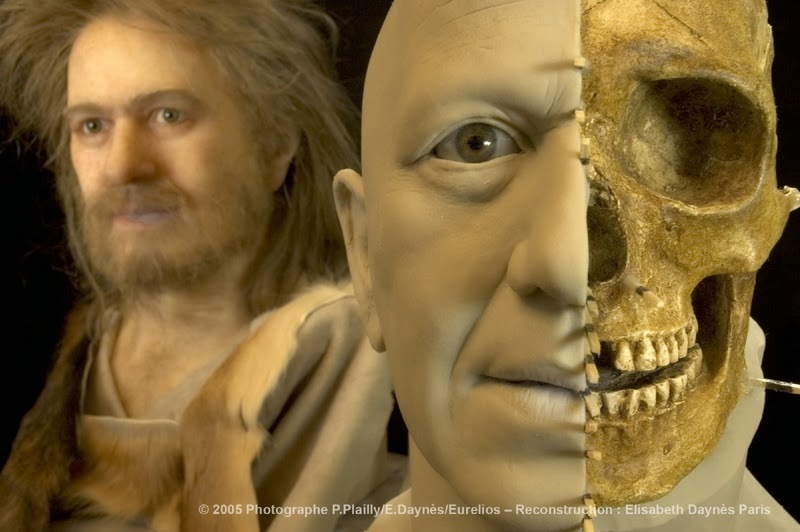 The sculpture is based on a skull (D2280) unearthed in Georgia. 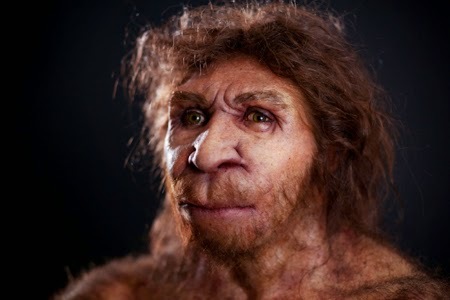 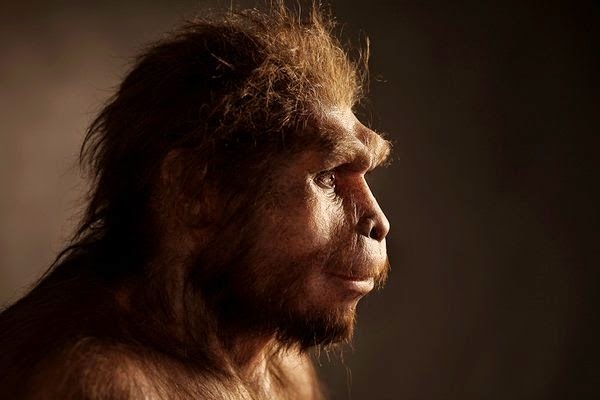 Scientists still debate whether Homo georgicus is a distinct species or an early form of Homo erectus. 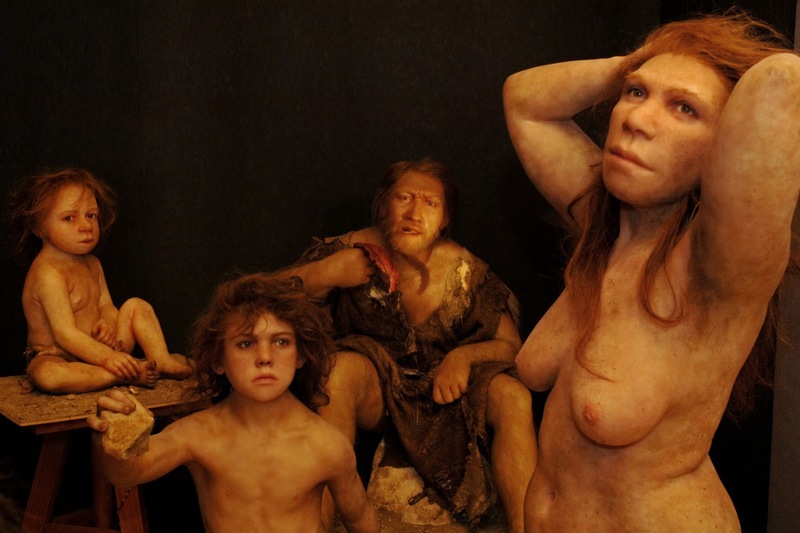 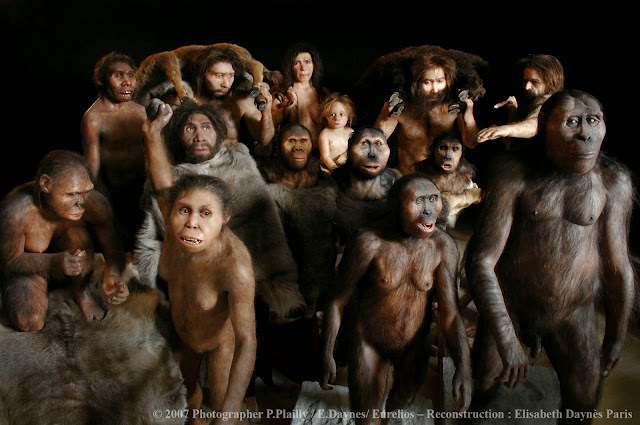 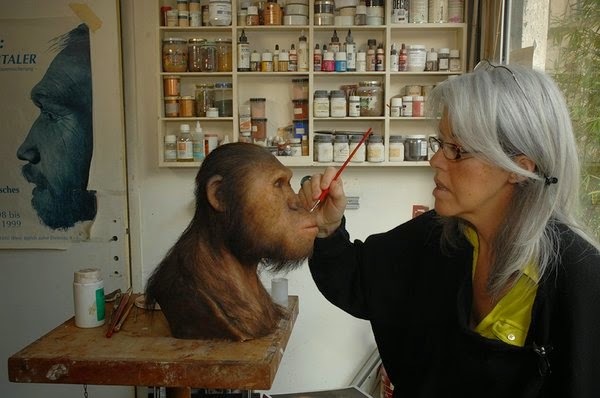 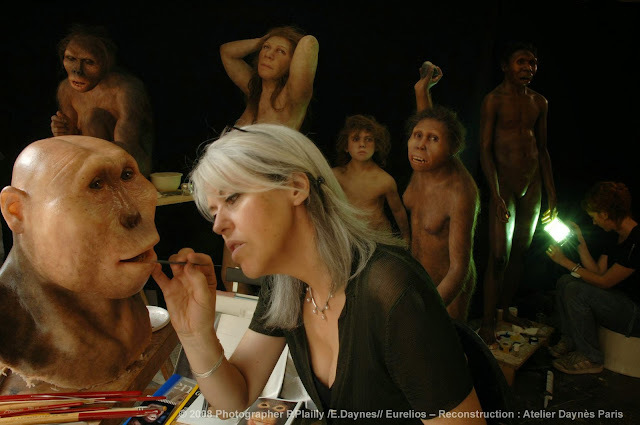 0 responses to "Amazing sculptures of ancient hominids by paleoartist Elisabeth Daynès (30 Pics)"